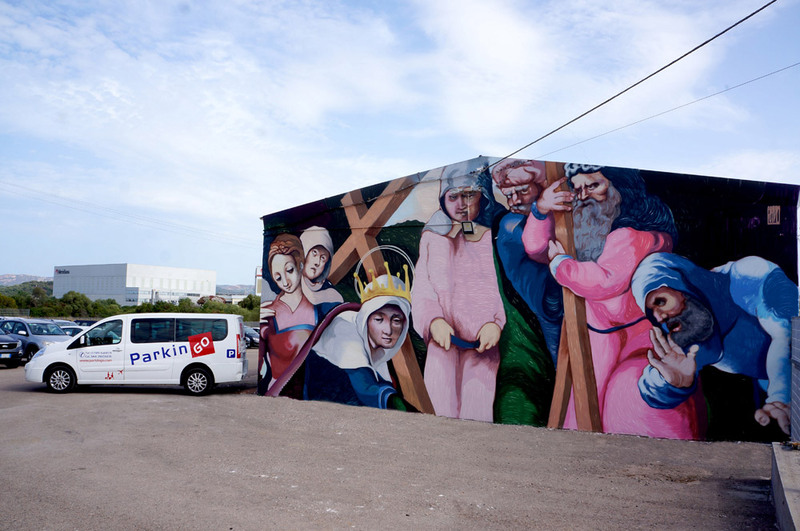 ParkinGO Art Project is the project that supports the Art and the Italian Creativity. 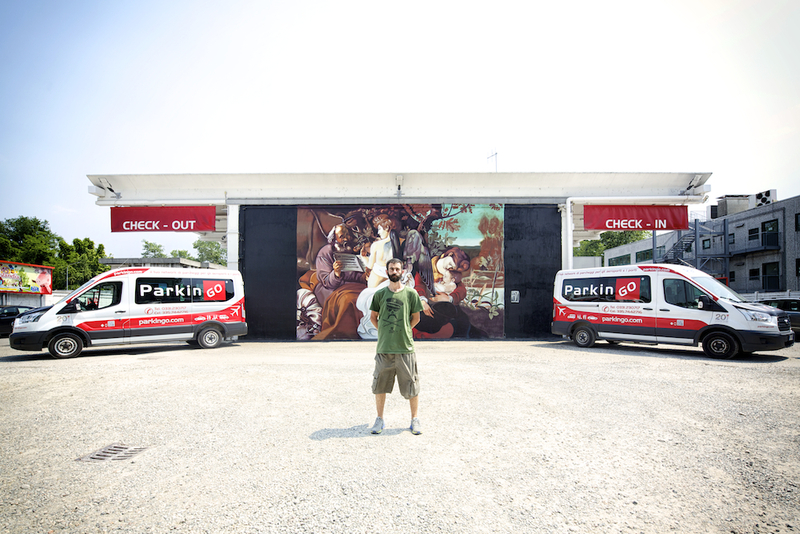 ParkinGO Art Project made its debut in June 2016 through the artistic association with Andrea Ravo Mattoni, who did inside ParkinGO Malpensa, the mural “Riposo durante la fuga in Egitto”, inspired in the great Caravaggio canvas. Andrea Ravo Mattoni is not new in this kind of initiatives: last April he was able to capture the media attention doing a Caravaggio canvas “La captura de Cristo” in an underpass at the outskirts of Varese; an artwork added in the reassess of the urban areas “Urban Canvas”, sponsored by the Varese Province and the Regione of Lombardia. Inside the car park of Milan Malpensa, the artist has done in a big dimension the oil painting using only spray. 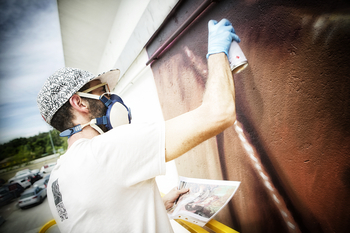 The result is excellent and has left the employees and our clients speechless. “After the experience in Varese I have received proposals from others, private and public structures to do similar initiatives – he says – I have chosen ParkinGO because the company has shown its shared interest of the beauty discovery and the artistic culture diffusion”. 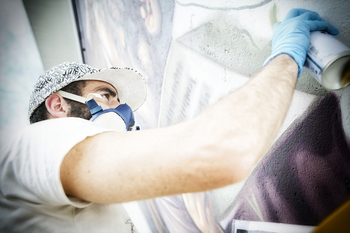 The initiative rewrites the concept of sponsorship. 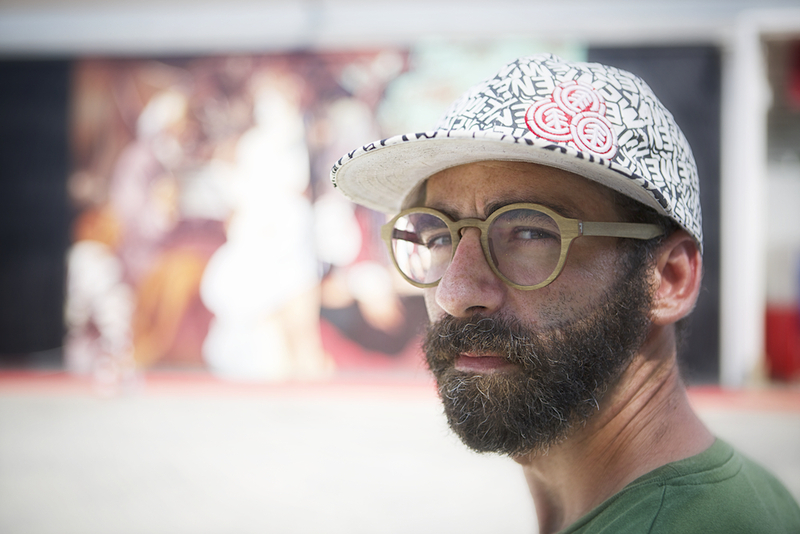 Andrea Ravo Mattoni reminds us that: “the sponsors of a time, used to offer support to the artists but the most of them were private artworks: they could only be enjoyed by the sponsor, his family and his court. 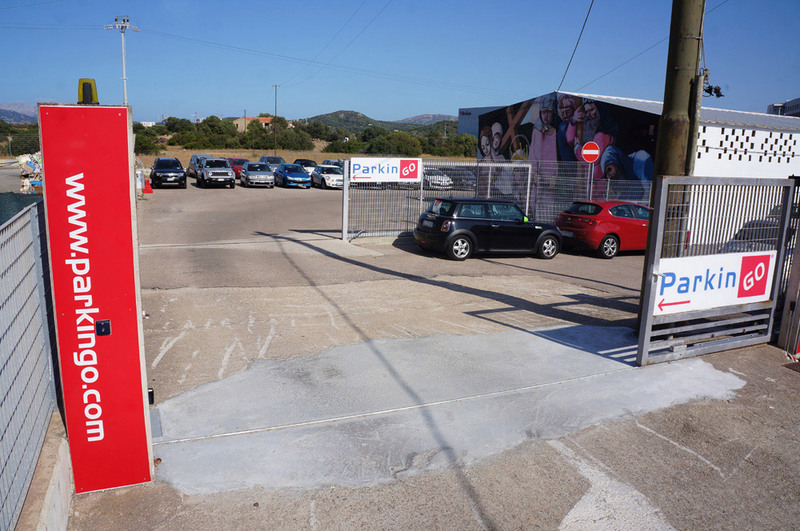 Also the space offered by ParkinGO is private, but destined to the public, and it’s been done for the public to enjoy it”. 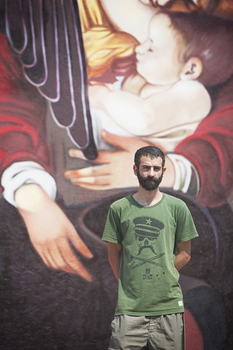 Andrea Ravo Mattoni was born in Varese in 1981. He started its proximity to Street Art in the 90’s. His career in the Academy of Fine Arts in Brera, Milan, brings him to deepen in its proximity with the Pictorial Art and discover the beauty of the classic culture. 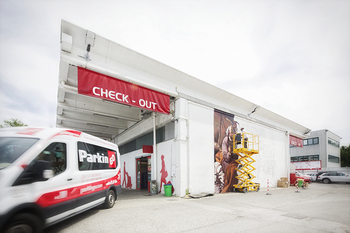 “ParkinGO has always searched to characterized its own internal spaces turning them more comfortable. 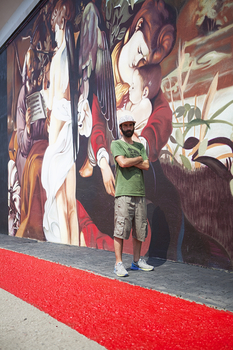 However here the goal was to convert it in one of a kind. 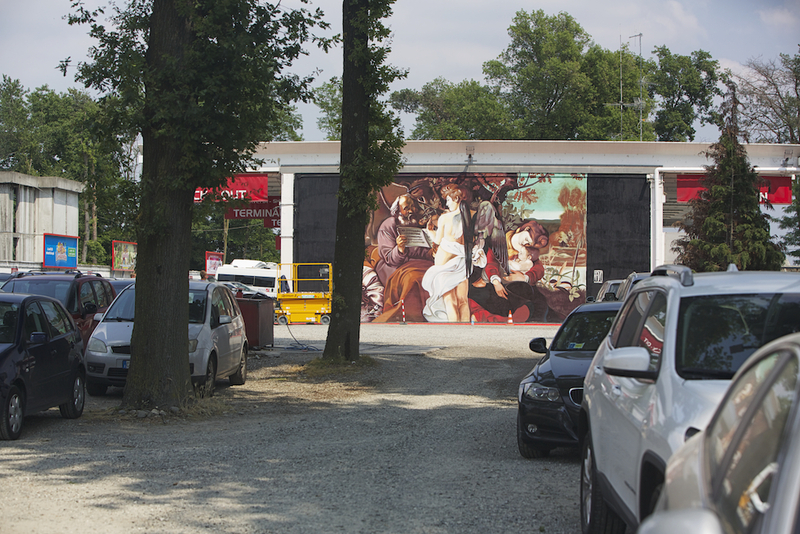 The idea of Andrea Ravo Mattoni is revolutionary, as it surprises the spectator; At the end of the day who expects to park in front of a Classic Italian masterpiece!! 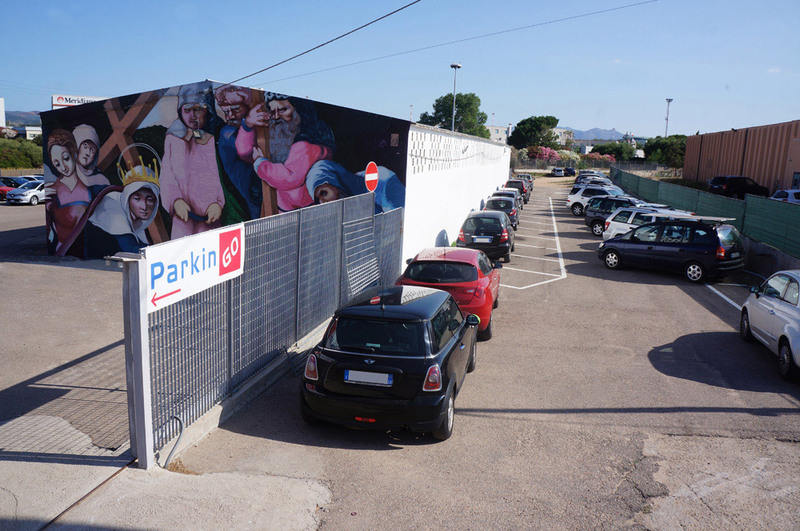 The association with this great artist opens “ParkinGO Art Project”, the initiative where ParkinGO wants to offer its clients not only a safe and efficient place to park but the chance to enjoy the “beauty” in all its shapes. 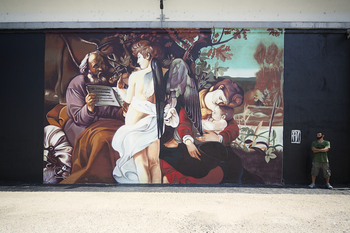 “Risposo durante la fuga in Egitto” is an oil canvas done by Michelangelo Merisi, known by “Il Caravaggio”, in 1596. 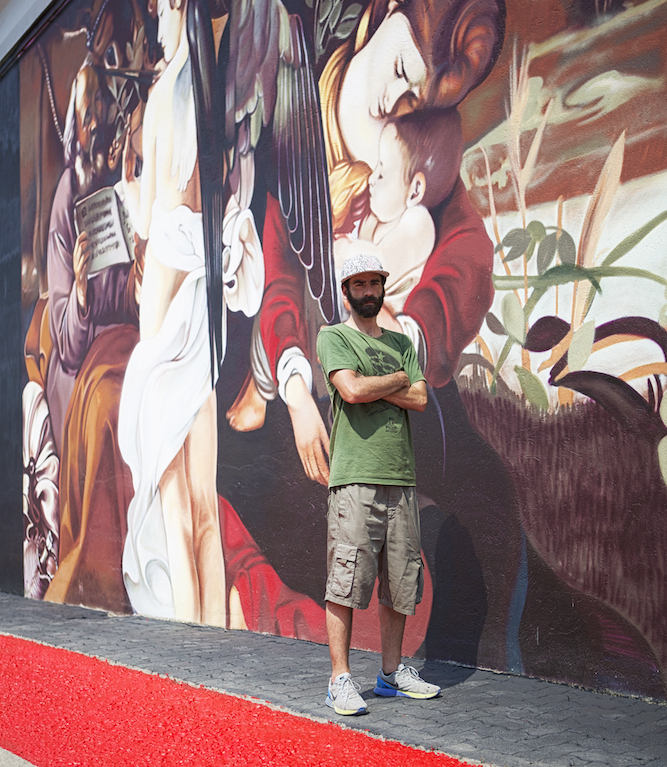 Originally it was “a canvas for the room”, a mere decoration for a private space; the identity of the client is still controversy. 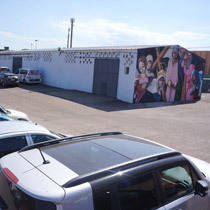 Nowadays is at the Doria Pamphiliji Gallery in Rome. The pictorial style is still closed to the lombarda-veneta culture of the end of 500’s. 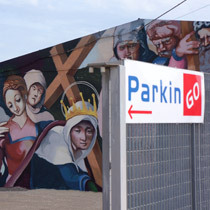 ParkinGO’s art collection has a new masterpiece: The Finding of the True Cross. 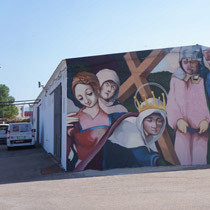 The Artist Andrea Ravo Mattoni realized a perfect reproduction of the painting with spray painting technique, on a wall of ParkinGO Olbia airport car park. 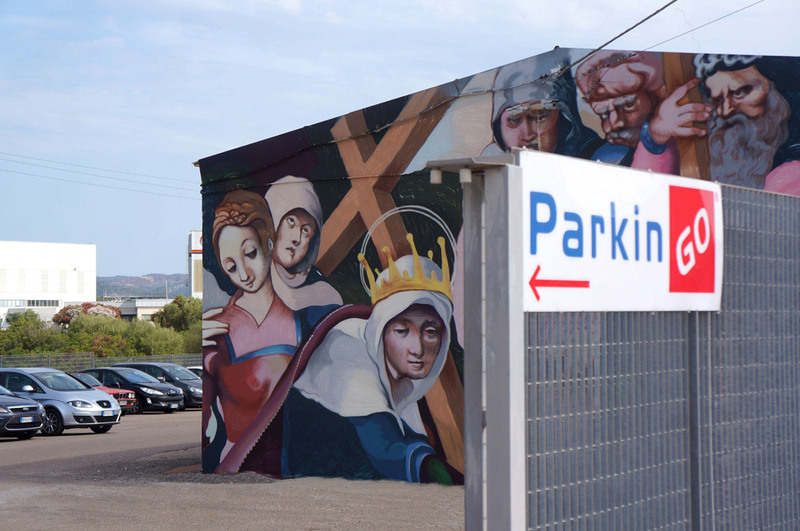 Another goal for ParkinGO Art Project: the initiative supports Italian Art and Creativity and can count on the cooperation with young and promising artist Andrea Ravo Mattoni. 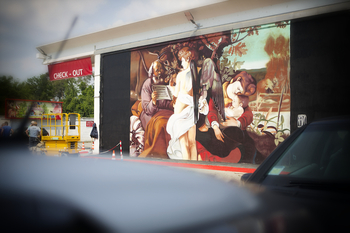 The off airport parking network, present in most important Italian airports and ports, launched the Project in 2016 with the masterpiece “Rest on the Flight into Egypt”: the original was painted by Caravaggio in 1597. 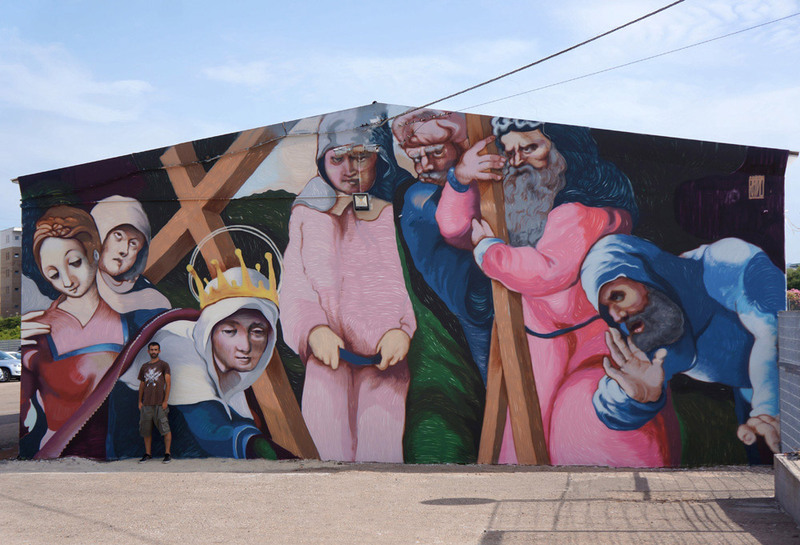 Now, “The Finding of the True Cross” is another important milestone for ParkinGO Art Project. 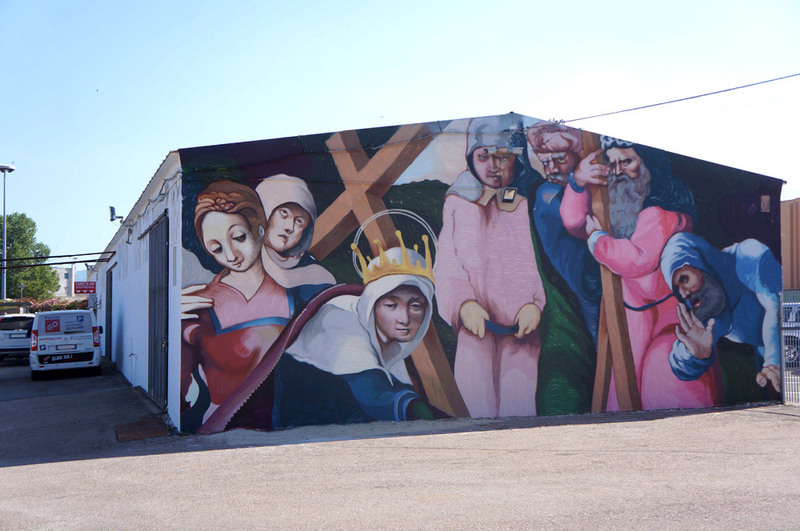 The original was painted in XVI century by an artist from Sardinia, known as Maestro di Ozieri: his true identity is still a mystery. 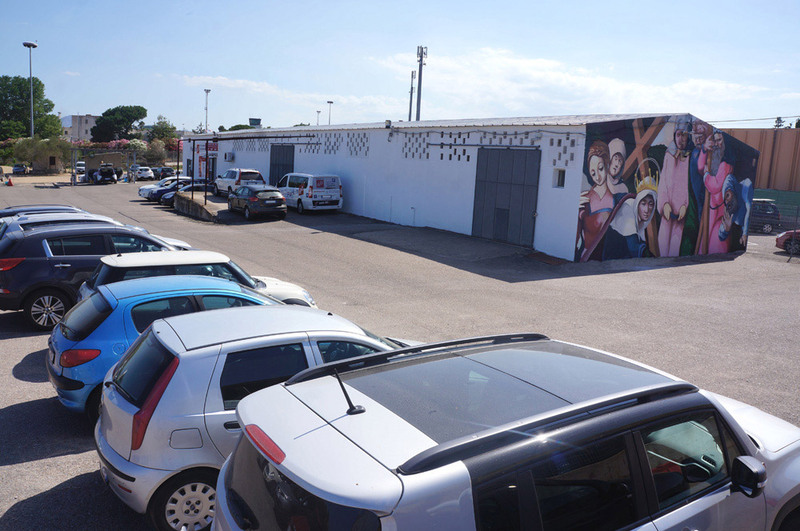 Andrea Ravo Mattoni worked directly on a wall of ParkinGO Olbia facility; he used only spray painting technique and accomplished his task in just 4 days! 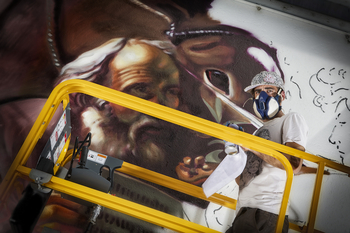 “This masterpiece is an homage to Sardinia, to its long History and tradition. 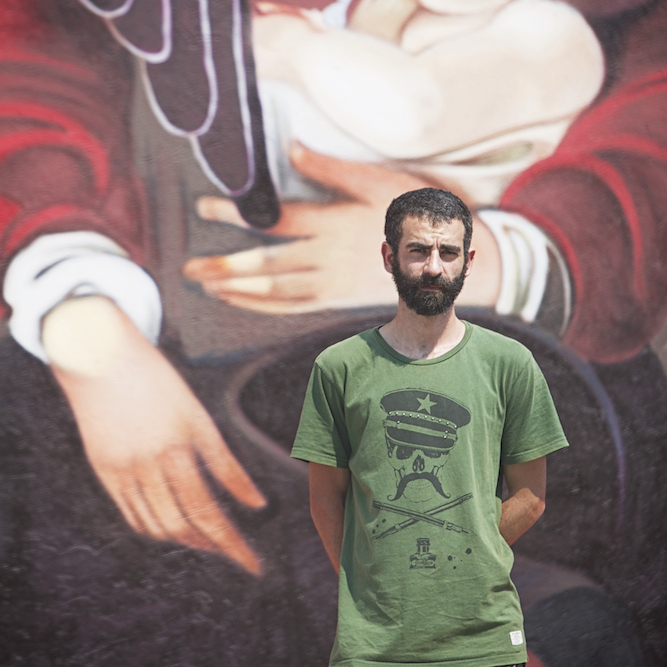 Part of our family come from Sardinia and it was particularly important for us to express the deep feelings that connect us to our homeland”.